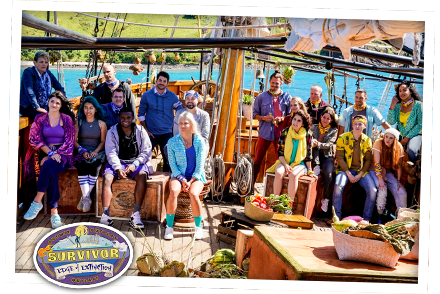 In Fantasy Survivor Game, players earn points when their drafted Survivors win reward and immunity challenges, and when they correctly guess the Survivor voted out each episode. Join a group and compete with your friends to see who can Outwit, Outplay and Outlast to become the Fantasy Survivor Game Sole Survivor. Register simple information in order to track your score. You will Draft two Survivors. As long as those Survivors are in the game they will earn you points each episode for winning reward and immunity challenges. Select the one Survivor you think will be crowned Sole Survivor. Join a Group and compete against others. Each week Vote for the Survivor you think will be voted out in the next episode to earn big points. Tune into SURVIVOR, Wednesdays on CBS. After the show check back to track your score and see how you did against your group. All information is required to register.